From 1864 to 1981, children were sent to the Smyllum Park Orphanage, in Lanarkshire, Scotland, where they were routinely tortured, sexually abused, and then dumped into unmarked graves. The orphanage was run by the Daughters of Charity of Saint Vincent DePaul. The sisters who died received proper funerals, complete gravesite and headstone. 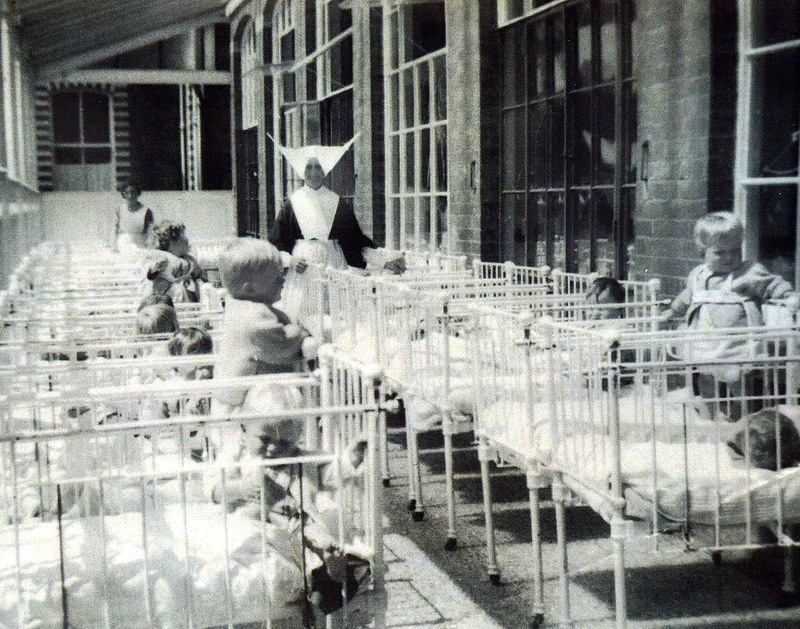 Close to 12,000 children stayed, and suffered, in the Smyllum Park Orphanage. In 2003, two survivors, Frank Docherty and Jim Kane, found what they thought might be a mass grave of Smyllum. They pushed the Daughters of Charity for some answers. In 2004, the order responded that they thought 120 children had died in the orphanage. Frank Docherty and Jim Kane suspected those figures were low. They continued to push. Earlier this year, both Frank Docherty and Jim Kane died. This past Sunday, the BBC and Scotland’s Sunday Post published the results of a joint investigation, and they claimed over 400 children are buried in that gravesite. As of Tuesday, the police have said that there was no evidence of criminal activity, but they will continue to investigate any allegations. If the activity was not criminal, what then was it? Ordinary? In 2013, Andi Lavery founded White Flowers Alba, a group that advocating for Smyllum Park Orphanage survivors. After reading through the death certificates gathered by the reporters, Lavery said, “Why should they be dying from starvation? Why should they be dying from treatable infections? Why should they be dying from beatings?” These are not “rhetorical” questions. Andi Lavery, and others, want answers. Theresa Tolmie-McGrane entered the Smyllum Park Orphanages in 1968. She was six years old: “Every child was beaten, punished, locked in a dark room, made to eat their own vomit and I would say that most of us had our mouths rinsed out with carbolic soap.” Theresa Tolmie-McGrane describes sexual abuse, physical violence and systematic psychological torture. One nun in particular tried to break the girl-child down: “She almost made it such that I didn’t get to university. She did everything she could to sabotage. I’ve never met someone who tried to destroy another person in such a systematic way. 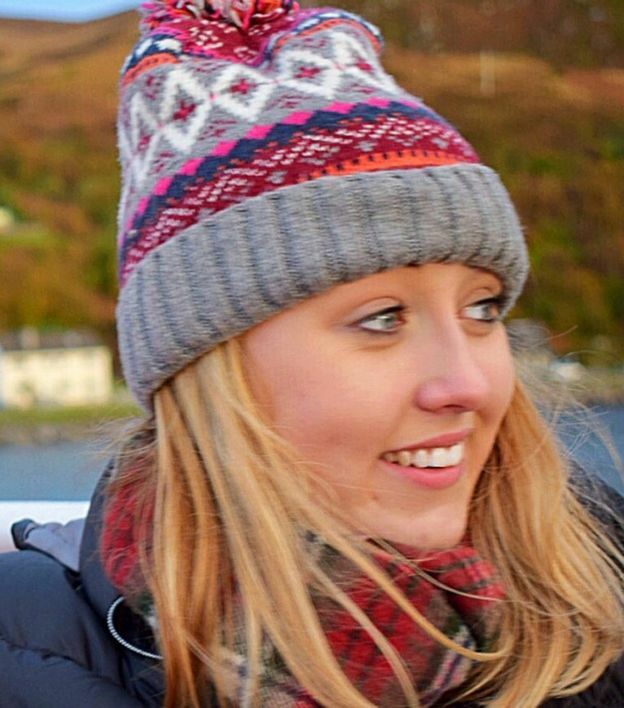 Thank God she didn’t succeed.” Theresa Tolmie-McGrane left the orphanage at 17, went to university, and today is a practicing psychologist in Norway. The Scottish Child Abuse Inquiry is investigating the case. From members of government to the Church and beyond, everyone is shocked at the tragedy. For decades, survivors have told their stories, to no avail. For decades, family relatives of those children demanded answers, to no avail. To their dying days, Frank Docherty and Jim Kane demanded what the White Flowers Alba demand: accountability, redress, and the restoration of dignity. Frank Docherty and Jim Kane died without seeing any of that. This story hearkens to the story of Tuam, in Ireland, where infants and children born in the institution were ‘buried’ in septic tanks. From Tuam to Lanarkshire and beyond, people ask, “Who throws dead children into an unmarked grave?” Who? Everyone. In the process of modern `nation building’, some bodies have value and others have less than none and end up in trash heaps, septic tanks, unmarked graves. There was is no secret and there is no surprise here. The activity was not criminal, it was altogether ordinary. Two hundred years ago, poetic faith was described as “that willing suspension of disbelief.” At that point, a culture of disbelief meant folk cultures and fantasy were relegated to the dustbin of history by `the lettered classes.’ Today, disbelief sends women asylum seekers to prison. Progress? In the United Kingdom, women asylum seekers encounter a “culture of disbelief.” When Asylum Aid looked into the situation of initial decision-making in women asylum seekers cases, they found that 87 percent were turned down at the first hearing. Why? The UK Border Agency agents didn’t believe the claims. 87 percent is high, but that’s actually not the higher math. 42 percent of the rejected claims were overturned on appeal. In fact, 50% were ultimately overturned. The over-all average for overturning rejected appeals is 28%. That means that women’s stories are discounted as lies, at least by the border agents who make the preliminary decisions. And it gets worse. Women wait longer than men to hear a final decision. How do they live while waiting? In Scotland, all asylum seekers receive free healthcare. This includes those whose claims have been rejected. This means women. First, women make up a proportionately large part of those appealing, post rejection. Second, addressing women’s health concerns and, even more, women asylum seekers’ health concerns by engaging with the women as autonomous persons helps bring them into the larger and everyday social world. It is part of a larger Scottish project of refugee integration. But Scotland is the exception. For the rest of the United Kingdom, for Westminster, the situation is toxic, lethal. Asylum seekers do not need to labor under the additional burdens, or are they punishments, of isolation and desperation. And depression. The vast majority of women asylum seekers are fleeing sexual and physical violence. Add to that isolation and a dehumanizing process, and you have a perfect recipe for self-harm and worse. What is the architecture of the culture of disbelief? Prison. Private prison, at that, such as Yarl’s Wood, run by Serco. The typical scenario for a woman asylum seeker is travel long distance, end up in an overcrowded room with tons of strangers, approach a person sitting, austerely, behind a glass, and then, in a loud enough voice to be heard by a bunch of people, tell him or her the story of how you were violated. And then suffer rejection, being called a liar. And then go to Yarl’s Wood … or some other prison. Welcome to the so-called “culture of disbelief.” Welcome to `democracy’. It’s not disbelief. It’s efficiency. If 87 percent of the storytellers are rejected, that’s because the judge isn’t listening. Anyway, it’s more efficient to reject 87 percent, even if half will be overturned. Think of the savings from those who don’t appeal and from those who appeal and don’t succeed. And then think of the profits generated through the incarceration of innocent women courageous enough to tell their stories to strangers, courageous enough to seek a better world, despite all odds. That’s extraction of value, of profit, from time, from flesh, from pain and suffering, from degradation, from women. This system, this version of `democracy’, was established during the bubbly times, during the economically ascendant times … for some. What is coming, as the UK charges from efficiency to austerity, is predictable. More cuts. Cuts to legal aid. Cuts to health services. Cuts upon cuts. What is needed is a national campaign of willing a suspension of the culture of disbelief. Call it … democracy. Call it, as well, feminism. Children are disappearing. Sometimes spectacularly. Sometimes silently. Sometimes `without notice’. That children are disappearing is not new. Children asylum seekers and children of asylum seekers have been disappearing into detention centers in Australia, the United Kingdom, the United States, Greece, and elsewhere. In Australia, imprisoned children of asylum seekers are disappearing into the tortured self mutilation that must serve as a kind of escape from their current everyday circumstances. Children of incarcerated mothers are disappearing in South Africa, Scotland, the United States and elsewhere. Children in schools are disappearing into seclusion rooms, aka solitary confinement. In the United States, children of undocumented residents are disappearing, shipped like so much baggage, back to Mexico and parts unknown, often on their own. In Jamaica, girl prisoners disappear into prison fires that were altogether predictable and preventable. None of this is new. We have discussed this and more before. The events are not new nor is the failure to take responsibility. Children are disappearing. Sometimes spectacularly, sometimes silently, other times `without notice’. In England, an inquest opens today. It’s the second time around for this inquest. It concerns the death in custody, in August 2004, of Adam Rickwood. Adam was 14 when he was found hanging in his cell at Hassockfield Secure Training Centre, a private prison run by Serco, the same people who run Yarl’s Wood in the UK and all the immigrant detention centers in Australia, most notoriously Villawood. When Adam Rickwood, who had never been in custody before, refused to go to his cell, he was `forcibly restrained’ with `a nose distraction’, a violent and invasive chop to the nose. Hours later, he was found dead, hanging, in his cell. At the first inquest, in 2007, the coroner refused to let the jury decide if the restraint constituted an assault. It took thirteen years of struggle on the part of Adam’s mother, Carol Pounder, before the first hearing took place. Dissatisfied with the complete opacity of the system, she continued to push, and finally, finally a second inquest has been ordered. That starts today. Adam Rickwood would be thirty years old now. Meanwhile, across England, there are 6000 children whose mothers are incarcerated, and, basically, no one officially knows their whereabouts. According to the Prison Advice and Care Trust, or PACT, they are “the forgotten children.” According to PACT, the mothers of 17,000 children are in prison, and of those, 6000 are not in care nor are they staying with their fathers. They are `forgotten.’ Children are disappearing, some into the night, others into the fog. At the same time, in Ireland, eleven unaccompanied children asylum seekers went missing last year. Six have yet to be found. Between 2000 and 2010, 512 unaccompanied children seeking asylum were `forgotten’. Of those, only 72 were ever found by the State. Forgetting children is not an exception, it’s the rule, when the children are children of color, children of asylum seekers, children of the poor, children in prison. 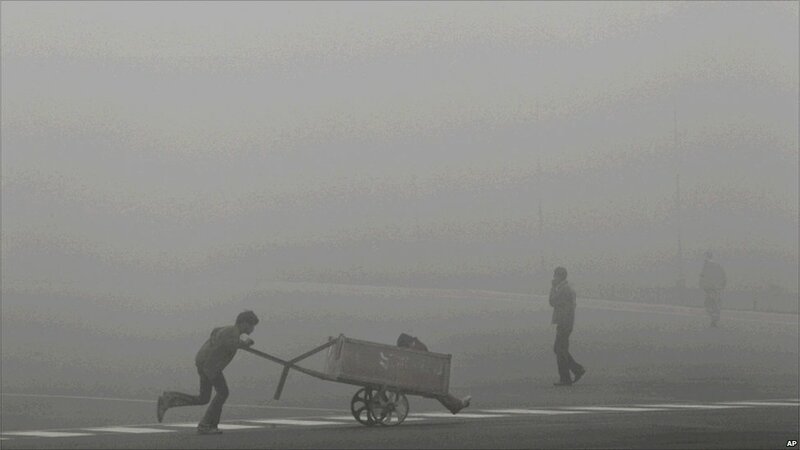 Children of strangers, children of neighbors are disappearing, into the night, into the fog. In the United States, Phylicia Simone Barnes is a 16 year old honor student from Monroe, North Carolina. In December, she was visiting Baltimore, thinking of attending Towson University, a local university. Phylicia went missing on December 28. There has been little, very little, media attention, despite the efforts of family, the Baltimore Police Department, and the FBI to draw attention to this case. Why? Baltimore Police spokesman Anthony Guglielmi thinks he knows the reason: “”I can’t see how this case is any different from Natalee Holloway. Is it because she’s African-American? Why?” When teenager Natalee Holloway disappeared, on holiday in Aruba, there was a `media frenzy.’ For Phylicia Simone Barnes, who is Black, there is fog. She is a forgotten child. Christina Green was born on September 11, 2001, to Roxanna and John Green, in West Grove, Pennsylvania. She was one of the 50 Faces of Hope, faces of children born on that fateful day. Like Phylicia Simone Barnes, Christina was a star student, an engaging child, bright, mature, `amazing’. She was killed on Saturday, in a volley of gunfire apparently directed primarily against Congresswoman Gabrielle Giffords. What becomes of hope when a Face of Hope is lost? Children are disappearing, sometimes spectacularly, amidst blazing gunfire, sometimes through a policy of practiced omission and amnesia. In the moment, the route of spectacle or silent lack of notice seems to matter. But in the end, they are all forgotten children, and they haunt the days and ways of our world. Children of Incarcerated Mothers, or Albie Sachs haunts U.S. prisons! “Judges are the storytellers of the 21st century,” says 74-year-old Sachs…. At first sight, he had intended to throw out an appeal on behalf of Mrs M, who was facing four years in jail for up to 40 counts of credit card fraud that she had committed while under a suspended sentence for similar offences. “I remember drafting an extremely dismissive response. I said: ‘This doesn’t raise a constitutional question. She simply wants to avoid going to jail. She doesn’t make out a case, and her prospects of success are zero.’ “It was a female colleague…who insisted that the case be heard. She argued that the human rights of the accused woman’s children were not being looked at separately. At the time he was drafting the judgment, Sachs did not know of any country that took the rights of offenders’ children into account, but he subsequently discovered that similar ideas were being framed in Scotland in a report by the then children’s commissioner, Kathleen Marshall. The report, Not Seen, Not Heard, Not Guilty, argues that the rights of offenders’ children to family life under the UN Convention on the Rights of the Child are systematically ignored by the court system. The report found that almost two-thirds of prisoners in the Cornton Vale women’s prison in Stirling had children under 18, but there was no provision to take their rights into account during sentencing. None of this is new, news or surprising. Cage the fathers, superexploit the mothers, forget the children. It’s simple. Put a nation of mothers behind bars, where too often there are no fathers or other guardians around and there is no public support, and you imprison the children. Where’s the surprise? Shackle pregnant women prisoners in labor and delivery, in the name of security. Are you surprised? This has all been said before. It’s common knowledge. In South Africa, Albie Sachs acted. In Scotland, so did Kathleen Marshall. In the U.S., it’s time, it’s way past time, for similar action.